Beetiful designed the book cover for Midnight Madness: A story of magical romance by Skyler Frost. On a sparkling night of magic and love, Heather is choosing a life with Rod—a handsome, perfect boyfriend who has given her a Tiffany engagement ring. But her gypsy grandmother has other ideas about the kind of guy her granddaughter should be with…and so does Heather’s friend Andy. A fun short story about opening your eyes to love and magic. 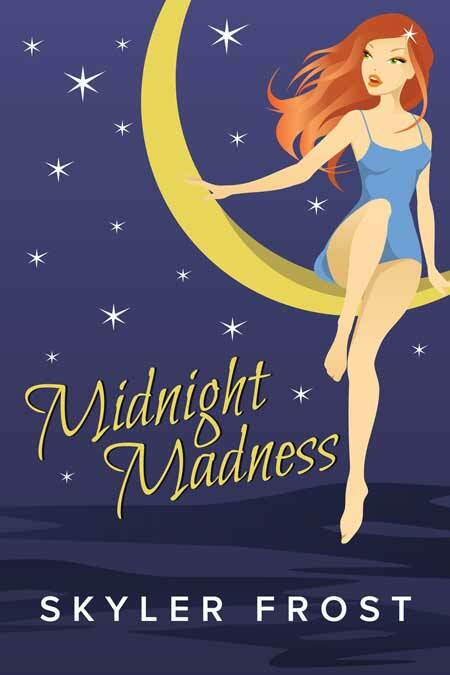 Get Midnight Madness by Skyler Frost today!